Each plan is customized to your unique lawn, meaning that there can be more or fewer steps, depending on the specific care that is required. 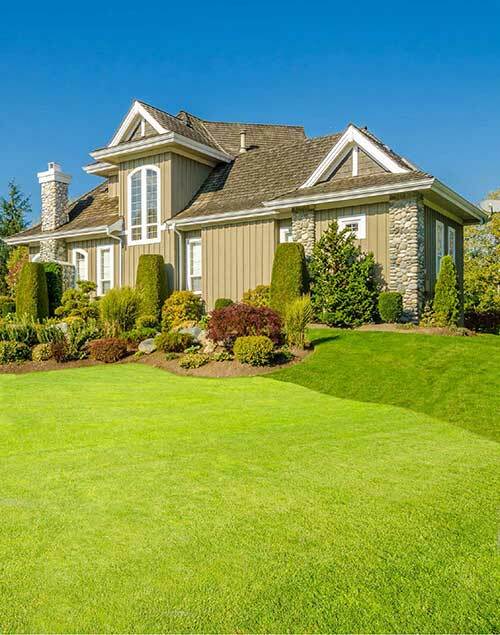 Our Lawn Care Program is a comprehensive treatment for your lawn – It covers specific fertilization needs that encourage deep root growth and overall health, detailed weed control, preventative grub control, and a winterization process that will keep your lawn nourished through the coldest months. Slow-release granular fertilizer application promotes health and color over an extended period of time. Pre-emergents are applied to prevent germination of crabgrass and nutsedge. Specialized fertilizer application promotes continued health and color. Remainder crabgrass and nutsedge are aggressively sought after and eliminated. Fertilizer application designed to withstand the conditions of hot summer is applied. Grub control treatment protects against infestation and keeps the lawn healthy. Specialized fertilizer helps lawn with water and nutrient uptake. Fertilizer application and weed control. Winterization process to protect against disease and infestation during and after cold months. A slow-release fertilizer is applied to promote deep root growth and maximum defense against the cold, as well as a healthy jump-start for the coming spring. Fertilizer application and weed control. Lime services alter soil for maximum nutrition and Aeration to allow for maximum digestive efficiency offered at this time. Overseeding also offered.